The old inn has a useful layout, with a large bar area, often crowded at weekends, and a spacious Alpine style sitting area, with sofas in front of a log fire and pine dressers where infused olive oil and homemade fudge are offered for sale. There are two dining rooms, one with an assortment of round wooden tables and slate floor, the other more sophisticated, with chandeliers and Persian rugs. The four bedrooms are attractively decorated. In refurbishing the building and effectively rebranding the pub, Adrian Slater and Tania Fossey, brother and sister business partners have applied their company ethos of affordable luxury. 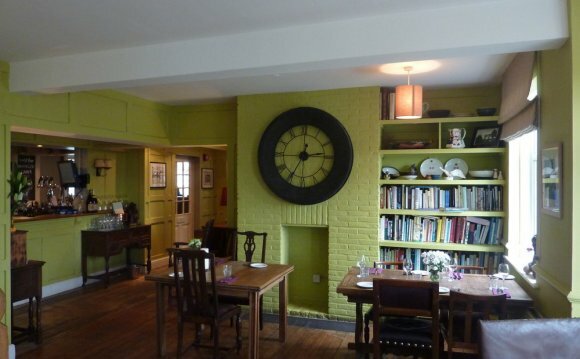 The result is an elegantly cosy retreat offering truly excellent food. Named after types of duck, the four bedrooms above the restaurant and bar are decked in creams and offer numerous luxuries from Frette linen to Baylis & Harding toiletries. The Porch House is very much a property of two stylish parts. The old Royalist section is a formal restaurant with a terrific dining room hung with (real) antler chandeliers. The old Eagle and Child section is a cosy, low-ceilinged pub, all beams and wooden tables, with an elegant pavilion extension. All shapes and sizes, the 13 rooms feature exposed stone and are decorated in quiet colours with hessian flooring and pleasing retro furnishings. Located on more than a mile of the River Windrush, the 18th century mill consists of a sympathetic restoration of original Cotswold buildings. Behind the scenes there’s an impressive commitment to green energy. Choose between tiny and corporate, or characterful rooms, accessed by steep, twisting stairs. Best, and more expensive, are the latter in the Swan. They’ve been attractively, if soberly, redecorated. In the restaurant dishes, served on slate, were generally excellent, with an ever-changing daily special board available. The converted inn has been given the fashion-conscious Cotswold treatment, with scrubbed stone walls, rustic chic furniture and a surprising preponderance of cream, beige and taupe. Best is the wide front room, with central open fire, generously furnished with deeply comfortable armchairs and sofas. Rooms range from small but cosy in an attractive adjoining annexe to large suites that can include children. They are all different in shape and size and are certainly good looking.